Mount Mawson is located within the Mount Field National Park approx. 1½ hours drive from Hobart in southern Tasmania. The ski area is at an altitude of approximately 1250m and usually gets fairly consistent snow falls during winter resulting in sufficient cover for downhill skiing from mid July to mid September. 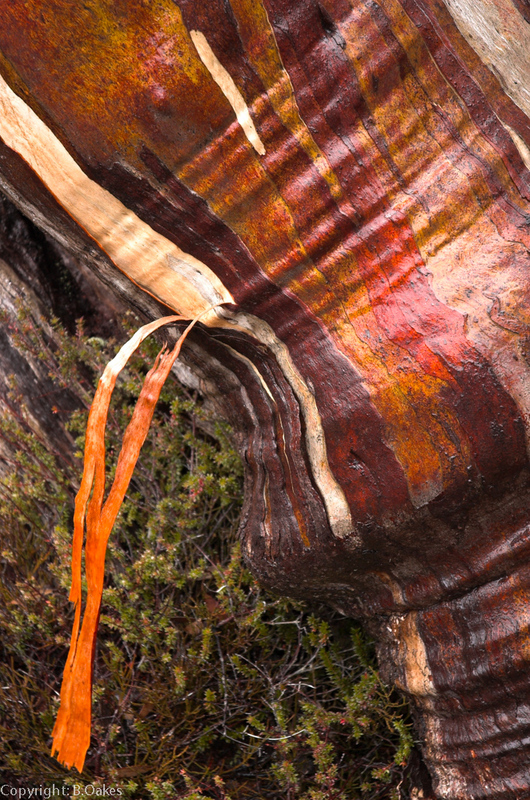 This is a picturesque alpine environment featuring; gnarly snow gums, unique pandani plants and the calls of the ubiquitous currawong birds trumpeting across the valleys. 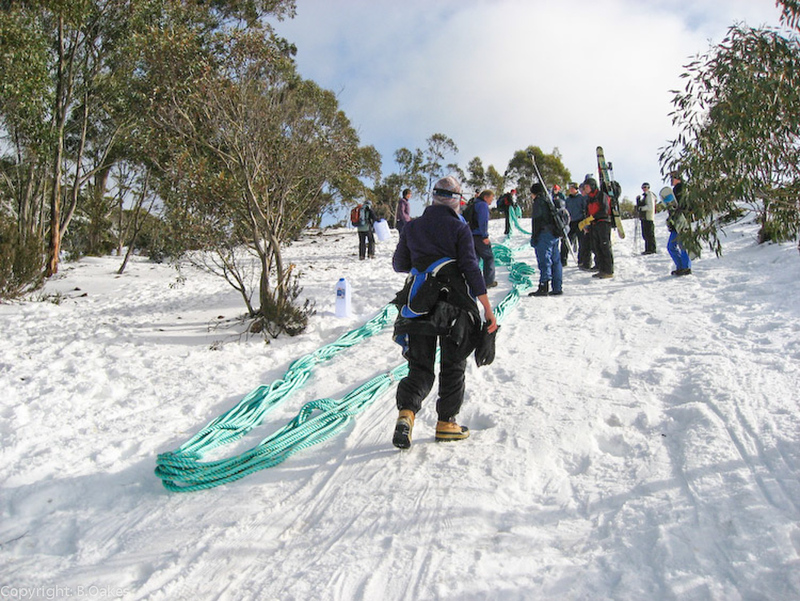 Mount Mawson is a small club field operated by the Southern Tasmanian Ski Association (STSA) and is operated by volunteers from the various clubs on a roster basis. The area is open to the general public for downhill skiing / snow boarding. The STSA is formed from members of the seven ski clubs that use the area, the Ski Club of Tasmania, Oldina Ski Club, Wellington Ski Club, Hobart Walking Club, Mount Mawson Ski Club, Alpine Club of Southern Tasmania, and the University Ski Club. Members of these ski clubs help to maintain and operate the tows completely on a volunteer basis. In addition the Mount Mawson Ski Patrol is also run by dedicated volunteers. Volunteers digging out the Mawson Tow rope after a big snow fall. Volunteer Tow Manager skinning up the Mawson run early one morning to set up the tow for the days operation. There are three rope tows; Mawson, University, and Rodway. A beginners tow is currently under re-development. Rodway is located at the start of the Tarn shelf and is for the advanced skier. Mawson and University cater for the beginner through to the advanced skier. The Base cam on this site shows the Mawson tow line and the Summit cam looks over to the Rodway tow. Rodway tow, Tasmania’s steepest lifted run. In order to use the tows, a Tow Belt is required. Tow belts are hired on the mountain and supplied as part of your ticket price. The tows are accessed from the Lake Dobson car park via a scenic 30-45 minute uphill walk through alpine forest. This can often be skied on the way home. Ski patrollers are on duty whenever the tows are operating. A day shelter at the bottom of the main ski area slope is maintained by the National Parks and Wildlife Service. There are numerous cross country skiing possibilities accessed from Mount Mawson including the Rodway Range, the Tarn Shelf and Mount Field West. A number of public shelter huts are located in these areas. Cross country skiing at Mt Mawson. South West peaks in the background. Getting there: From Hobart: drive to the Mt Field National Park via New Norfolk, once you enter the park drive past the Visitor Centre, the road turns into the Dobson Highway (dirt road) and winds up the mountain to it’s termination at Lake Dobson, the trip takes approx. 30 mins. From the Lake Dobson car park walk to the ski field via either the Urquart walking track or the Jeep trail, this takes approx. 30-45 mins. The road from the Visitor Centre/Russell falls up to Lake Dobson requires a snow plough to clear it after a good snow fall. National Parks administration may be contacted on 03 6288 1319 for a Report On The Road Status. The information on this site are provided with the aim of making it easier for you to decide whether you will go skiing, snowboarding, walking etc at Mt Mawson. Please be responsible in your use of the park and remember to drive safely and thoughtfully to and from the Lake Dobson Car Park. In the afternoon, generally down hill traffic has right of way, but use common sense and give way to upcoming traffic if they’re on a slippery section of road.